For many, a sedation dentist allows people to overcome their fears of visiting the dentist and get the dental help they need. We know that dental anxiety, which is what an unnatural fear of dentists and everything to do with dentists is called, is very common. Some people will not even go in if they are in an emergency dental situation. Dental anxiety increases the risk of serious oral infections or diseases. In cases like this, a sedation dentist is an answer to the patient's prayers. One thing to remember is that dentistry has used sedation for a very long time. In the past, we typically used sedation dentistry for more complicated procedures. Today, patients are availing of its services so that they can do even basic and simple treatments without the massive anxiety and panic that they normally feel. Today, patients can have a level of sedation dentistry for regular teeth cleanings to tooth extractions. As a sedation dentist, we pay close attention to the procedure and give the patient advice on the level of sedation the patient needs to get through the procedure. Since we do not want the patient to go to sleep unnecessarily, we will ensure we only give the necessary to calm the patient for the procedure. In some cases, complete unconsciousness may be necessary. In most regular maintenance cases, we simply need to help the patient relax. Since the patient can also choose what level of sedation he or she is comfortable with, below are the four levels that we typically use as a sedation dentist. General anesthesia is the most impactful of the sedation methods in which the patient is completely unconscious. We do not prefer this method unless it is a serious procedure. With the more intensive procedures, we will require someone to take the patient home since the patient will need more time for the anesthesia to wear off. Unlike with general anesthesia, deep sedation has the individual fall asleep. Typically this is a very light sleep, which holds patients on the edge of consciousness. If need be, the sedation dentist can easily wake the patient up from this kind of sleep. Moderate sedation is the first level of sedation where we truly sedate the patient but have the patient stay awake. The patient will feel the effects of the sedation and may not remember much of the procedure despite being awake. This is used for many minor procedures because you are completely awake and aware, but the sedation makes you completely relaxed and able to let go of all your anxiety. You should visit a sedation dentist in Plano for a root canal treatment. We can provide you with a good experience at the dentist, no matter what procedure you need. Continue reading to learn about how our sedation dentistry can help you during a root canal treatment. What is the purpose of root canal treatment? You may have recently been told you need root canal treatment, but the process hasn't been explained to you effectively. Root canal treatment is used to remove the pulp of a tooth. The pulp is an area of connective tissue that contains nerve endings and blood vessels important for tooth development, but not necessary to keep a tooth once it has fully developed. If the tooth pulp becomes infected, it can cause the death of your tooth, resulting in it falling out or needing to be extracted. A root canal treatment is performed to remove the pulp and infection, saving your tooth from having to be extracted. The pulp is located in the canal that runs through the middle of your tooth and into your roots. During a root canal treatment, we gently drill a tiny hole in your tooth to remove the infection, damaged tissues, and the pulp from your canal. If done correctly, this process should save your tooth. The tooth canal will then be filled in with a rubber-like substance that will help it maintain its shape and remain durable. Your tooth will be covered with a crown following root canal treatment, which acts as protection. Why do I need to visit a sedation dentist in Plano for root canal treatment? Even though root canal treatment is not nearly as scary or invasive as it is commonly rumored to be, some people may become anxious at the thought of receiving the treatment. Root canal treatment must occur if it is needed in order to save your natural tooth. Without root canal treatment, you will experience immense discomfort and have to spend more money in the future to replace your missing tooth. If you are nervous about this process, our sedation dentist office can make the process less stressful and be completed more quickly. In addition to local anesthetics, sedation can be used to calm patients who need multiple procedures like several fillings or a treatment like a root canal therapy. Once sedated, you won't feel anxious or scared, and you will not feel any discomfort during the process. It can also help the treatment go by faster since you won't be tempted to flinch or move your mouth during the procedure. Our sedation dentist office will help your root canal treatment to be more successful overall. 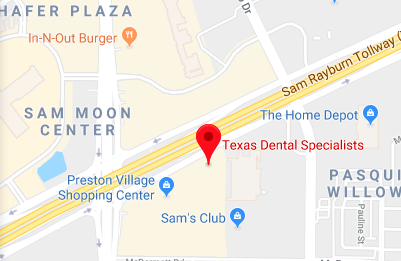 We hope you consider visiting our Plano sedation dentist office for your root canal treatment or other dental procedures. We can offer you a comfortable procedure where you feel completely relaxed and happy.